You're probably familiar with Taboola, at least in passing. It's the source of many sponsored news sections on websites. 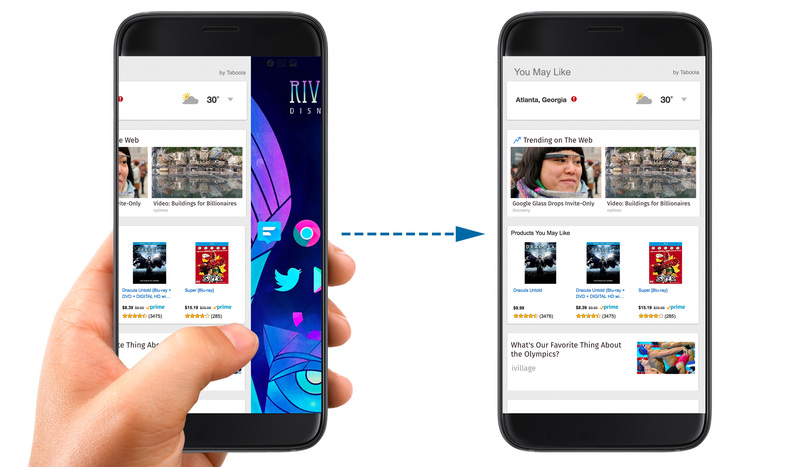 Now, Taboola is looking to become part of your smartphone with its new "content discovery" platform. 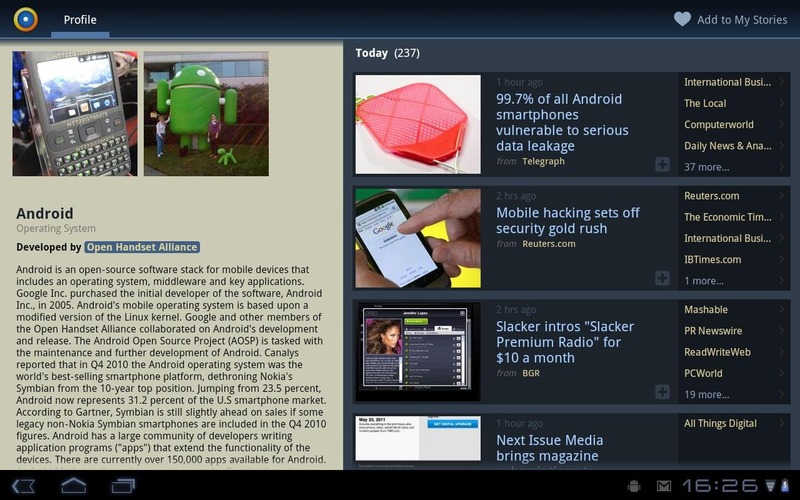 It looks a lot like the Google Feed, but it's not. In fact, it could come off like one giant ad on your phone. There have been a few signs already this year that Facebook is maybe feeling the heat. Perhaps younger users are tending towards trendier, more dynamic forms of social media. Perhaps older users are tiring of such platforms altogether and going back to sending hand-written letters. Whatever the reason, Facebook understands that it needs to make some changes to keep its users coming back. So far this year, the company has killed its unsuccessful virtual assistant, promised to clean up Messenger's act, and committed to making the Facebook news feed more personal. We knew even more changes were coming, and in a post yesterday CEO Mark Zuckerberg explained that the next update would rank local news higher. Particularly for those who were around from the start, usage of Facebook might have waned in recent years. Considering it was originally intended to bring you closer to your friends and family, things are a bit different nowadays. Scroll through your news feed today and you'll likely find a mixture of memes, recipe videos, and adverts (in my case, anyway, but that will depend on what you like/follow), with just a smattering of posts from people you know IRL. The company's mission for 2018: put friends and family at the forefront once again. CEO Mark Zuckerberg outlined this renewed focus in a post on the site yesterday, where he said that feedback from users was at the heart of upcoming changes to the ranking system. Facebook may have saved many a friendship when it first introduced the "unfollow" feature, wherein a user can tune someone out completely without the drastic step of unfriending them. But there may be times when you just need a break from someone in your network, but you don't necessarily want to ignore them forever. 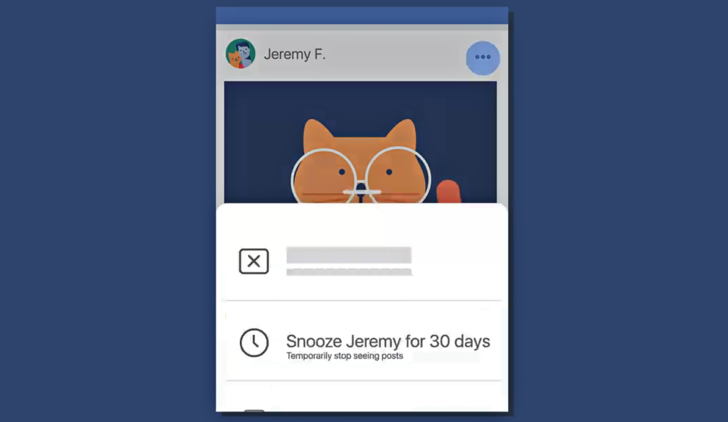 Facebook hopes to address this need with its newly announced feature, Snooze, coming within the next few days. 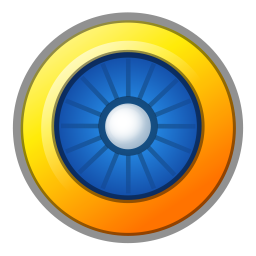 Snooze will appear as an option from the top-right drop-down menu of someone's post, and when activated, the user will temporarily unfollow the person for 30 days. Over that time, the user will see neither hide nor hair of the snoozed account. In its continuing quest to improve your News Feed/app experience, or just be creepy, Facebook has announced a shift in how it shows you external links to other webpages. The gist is that FB will show you more stories that will load faster, and less of the ones that may take longer for you to see. 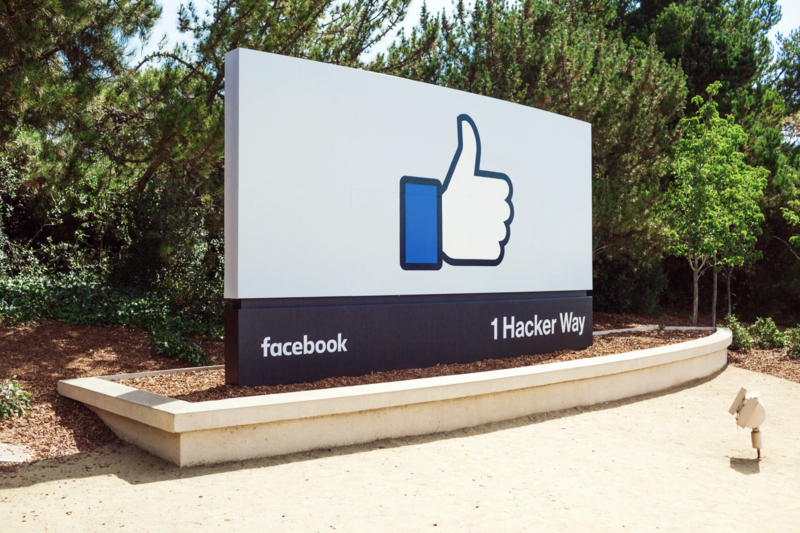 In continuing its crusade to bring Snapchat-like features to its repertoire of applications, Facebook has taken to its blog to announce some new features in the main app itself. 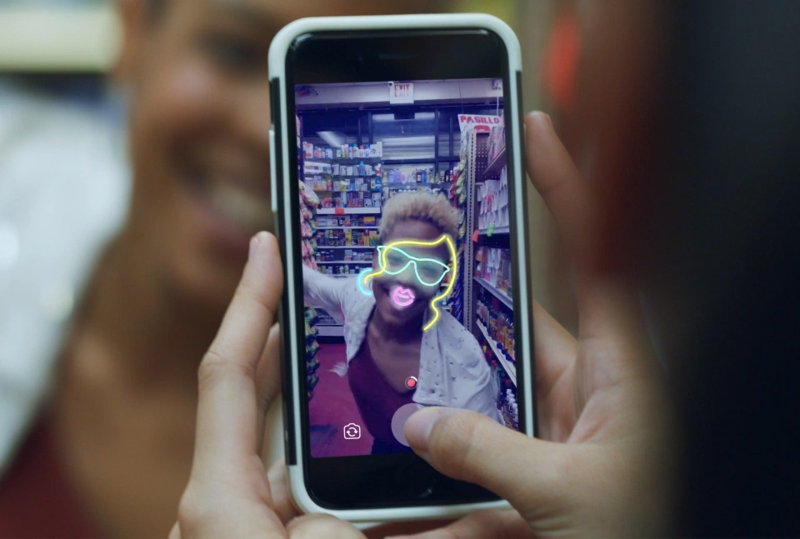 Users will be able to use and share a variety of camera effects, 24-hour Stories, or send photos to specific friends with Direct. If you haven't watched a 360 degree video before, take a moment to go check one out on YouTube. They're pretty cool. Thanks to cameras that are capable of recording 360 degrees around them, we now get an even better idea of what it's like to relive another person's experience. It's this last aspect that perhaps makes the content a natural fit for your Facebook News Feed. So now that's where the social network is placing them. 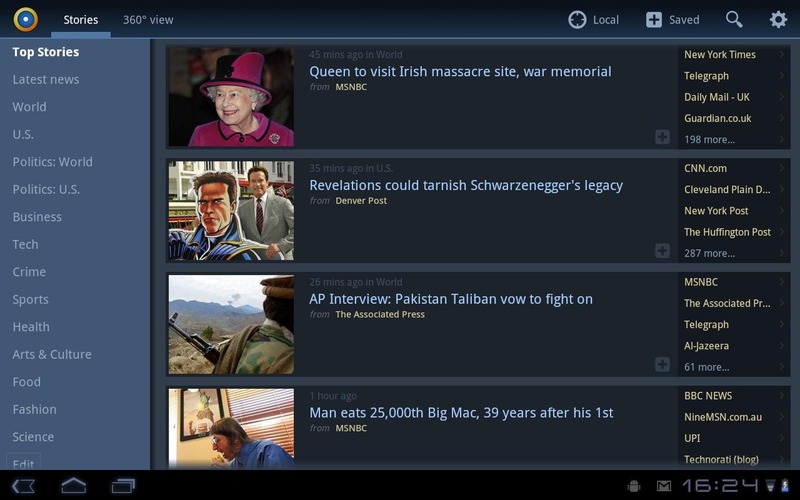 News360 has been the go-to news aggregator for Honeycomb tablets since its release a couple of months ago, and now, you can get the same top-notch newsreader on your phone. News360 for phones brings over 4,000 different news sources to the palm of your hand, displaying them in an easy-to-navigate, concise manner. You can pick and choose the news that's important to you for quick access, as well as user GPS or WiFi to get local news delivered directly to your handset. If you're on the road a lot, you can also connect News360 to TripIt in order to pull the local news from upcoming locations along your route. If you're into accurate, concise, well organized news stories and you have a Honeycomb tablet, then News360 is the app for you. 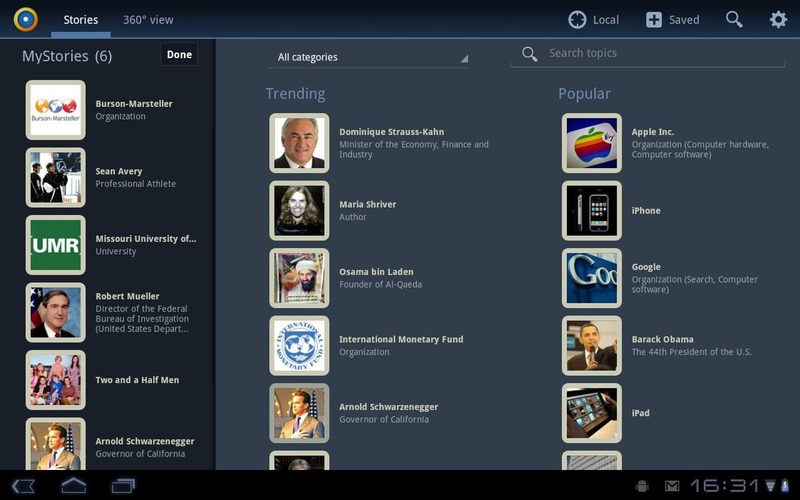 It brings over 1500 news sources into one stream, neatly organized into appropriate categories. You can select which companies, people, providers, and locations to include in your feed, so you only see the news that interests you. News360 gathers information from your cloud (with your permission, of course) - Facebook, Twitter, Evernote, Google Reader, etc. to create a personal stream just for you. You also have the choice to connect News360 directly to your Facebook account so it can pull your interests and import them into your news feed.